3 Days Left to Win Wings Unseen Through LibraryThing! Folks, we are nearing the end of May and nearing the time when the first batch of readers will be getting their hands on ARCs (advanced reading copies) of my book! I am excited and nervous and probably mostly overwhelmed with the whirlwind coming as Wings Unseen gets closer and closer to publication. And you can be one of the first people to have it in your hands if you sign up for the LibraryThing Early Reviewers program and request my book! 100 review copies of Wings Unseen are flying out from there soon, absolutely free. So far, only 160 members have requested a copy, so your odds are pretty good at getting one! But you only have 3 more days to request it, so get going! Here’s the link again (click here). The giveaway ends on May 29, 2017. There is another giveaway also underway, which I’ll be posting on soon. But for now, one last time, here’s the link for the LibraryThing Early Reviewers request page! Click the link here. Wings Unseen available for Pre-Order!! Ooh, maybe not that one. That looks dangerous. Regardless, it’s time to celebrate because my YA/New Adult epic fantasy, Wings Unseen, is now available for pre-order! “Oh, I am certain I have something that would suit your needs.” He grabbed at the sagging bulge beneath his belt. 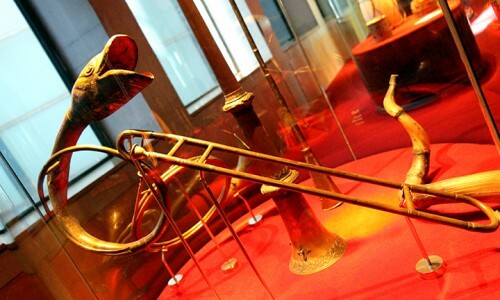 “Fallowent, aye, I may have some of that, though it’s scarce these days. The plants grow best by the river, and they disappear as fast as the Sell’s waters.” His face lit up as he spoke, confirming what Vesperi had pieced together years ago—this man loved his craft more than his pleasures. He was harmless, as far as men went. Each hobbled step he took drew forth a curse. After some shuffling and banging, he returned with a pot in hand. Cloying scents of honey and musk rose up as he lifted the lid. She dipped a finger and it came out coated in black, sticky seeds no bigger than a flea. Vesperi had little patience for stammering, but this was an unexpected compliment. He nodded, eyes downcast. But his head lifted when she placed an extra pile of souzers on the table. “Your loyalty is noted by House Sellwyn.” It was all she could say safely. She exited without another word, but the hood did not feel quite as binding when she pulled it over her head. My FogCon Friday Frenzy of Events! This Friday is Day 1 of FogCon, a literary-themed, genre fiction convention that takes place in Walnut Creek every year. But for me, Friday is Day Everything! That’s because I have three–3!–events going on that day, and I would love for you to join if you’re attending the festivities. 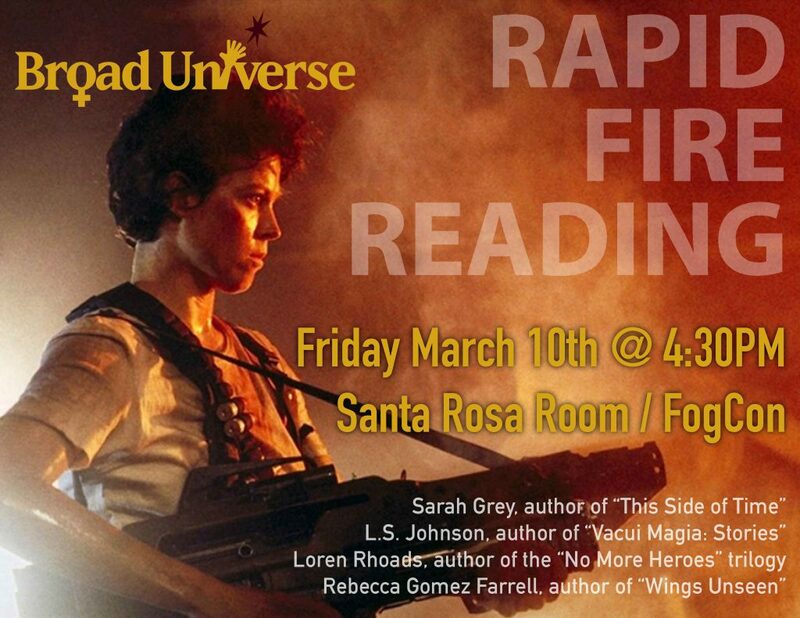 Immediately thereafter, I’ll be hosting and reading in the Broad Universe Rapid Fire Reading session in the Santa Rosa room, 4:30-5:45 pm. Broad Universe is an organization of female writers and their supporters of all genders that work together to raise the profile of women in the industry. Our Rapid Fire Readings are a mainstay at many science fiction conventions around the nation, and this one will consist of two rounds of 8-minute readings from four authors…and we may have a special guest author as well! The slate is myself, Loren Rhoads, L.S. Johnson, and Sarah Grey. Then, I get to eat dinner! And get more of a break before my second panel, How Did You Survive the Election? We will be tasked with tackling this terrifying topic in Salon A/B at 9:30-10:45 pm. Ah, such a sweet way to send us to slumber…The full panel description is “The 2015-2016 election season drove many of us to desperation, drink, or other distractions. Some of us turned into political denialists, some of us became political junkies, some of us amassed gigabytes of cute cat videos. How did you survive the campaigns, the stresses, the misrepresentations, coping with relatives who didn’t understand/were partisans for the wrong side, and so on? Panelists and audience share their experiences with this tectonic election, as well as tips for surviving the stresses of political campaigns, political work, and dealing with the political news.” I’ll be approaching the topic from a viewpoint of ways to become an activist without breaking down relationships with those close to you whom have a different political persuasion. 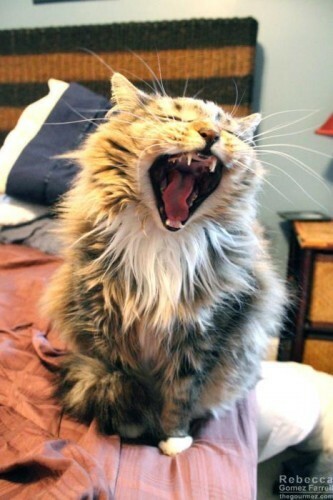 And after that…I’m off the hook! Well, almost! Saturday and Sunday, you may often find me at the hotel’s lobby bar when I’m taking a break from checking out someone else’s reading or panel. But you will for sure find me there on Saturday during the lunch block, 12:00-1:15 pm, when I’ll be the point person for members of the East Bay Science Fiction and Fantasy Writer’s Meetup to, well, meet up! If you’re interested in meeting other East Bay genre writers, that’ll be a great time to swing by. But whenever you see me, I’m generally always down for a chat! Hope to see you through the Fog this weekend! 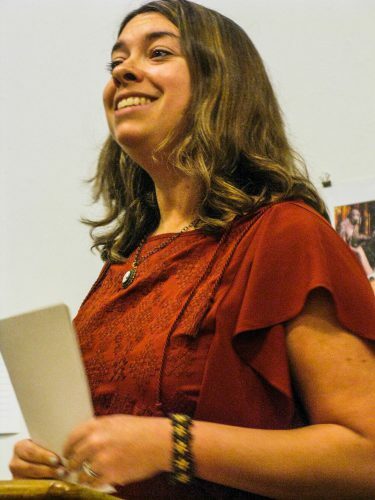 CANCELLED: Reading at Moshin Vineyard’s Salon Series for Writing Between the Vines! Due to rain and potential flooding, this event has been cancelled. Hopefully, I will be able to read at Moshin in March or April instead! I’ll keep you updated. My next reading will be in the midst of wine country! 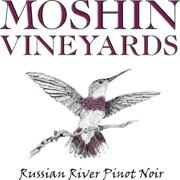 On February 20, from 5:30 pm to 7 pm, Moshin Vineyards will host a writer’s salon to welcome their next Writing Between the Vines author. What is Writing Between the Vines? It’s a writing retreat that pairs writers with vineyards willing to host them with “a space to work, a place to create — surrounded by the beauty and majesty of vineyards in locations around the world,” per the website. 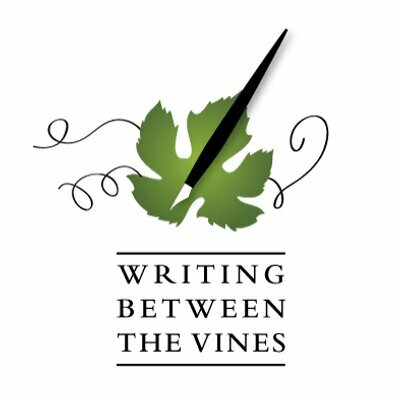 Interested authors apply in the fall and the winning applicants spend 4 to 6 days at the wineries…..writing. Just writing. How lovely that sounds! Why am I invited to read? Beyond the wine connection from my food blog, of course, I came in as a runner-up for the retreat at Moshin Vineyards. Thus, I was asked to come in for the salon that kicks off the retreat. I am excited to share an important scene from my upcoming book, Wings Unseen, that features a treasured family wine. 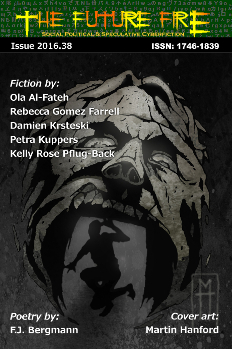 Time allowing, I will also read “Thlush-A-Lum,” my horror story published in PULP Literature, which also draws on wine imagery. But I am nearly as excited to try Moshin’s wines for the first time. The thrill of discovery is always galvanizing! The reading will take place at Moshin Vineyard’s tasting room in Healdsburg. Full details are available here. I hope to see you there! Wings Unseen coming from Meerkat Press in August 2017! Wow. 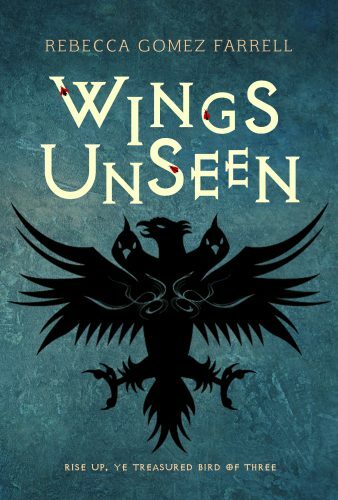 I signed a contract to publish my first book, Wings Unseen, an epic fantasy. With a traditional press. And a print run. And an advance. Folks, I’m still amazed this is happening, and five months in, and I am so happy with my choice to entrust Meerkat Press with this book. And there it is. 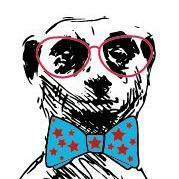 The cover reveal officially went down today at 7pm/4pm at the Meerkat Press website. And I LOVE it. I especially love the more modern style, which is one of the reasons I trust this publisher. We looked at a traditional fantasy design, but it didn’t feel right at all. This design stands out to me — the artist rocked it! A three-headed bird stares straight at you, claiming you, perhaps inspiring you to flip the pages. And when you peer closer, something else comes into focus: other winged creatures fluttering around the title letters, blinking into your sight, and giving you an instinctual shiver. And then there’s the color blue behind it all. I don’t know if Meerkat Press chose blue with intention, but no other color would fit quite as well for this book. Beneath much of Wing Unseen’s action is a force whose presence is signified by blue, so it’s beautifully appropriate that blue is the background for the cover as well. That it is there is enough, quietly holding together what can be more obviously seen. I’ve talked with friends many times about how I’m one of those writers who achieve something on their goal list then immediately feel as though I’m not a real writer yet, that there is a higher hurdle to jump and only when that happens will I feel I can say it. Place in a contest – nope, not good enough. Have short stories published — nope, doesn’t count until I get paid for one. Have a novella published — well, it’s not a whole book, is it? 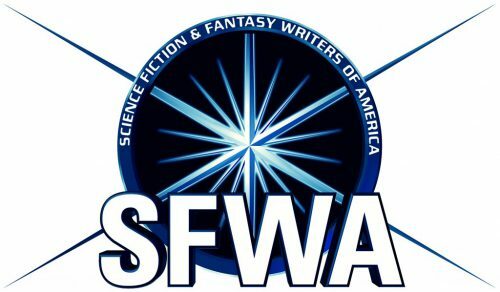 Sell enough pro-level short stories to join SFWA – but an associate doesn’t count as much as a full member. 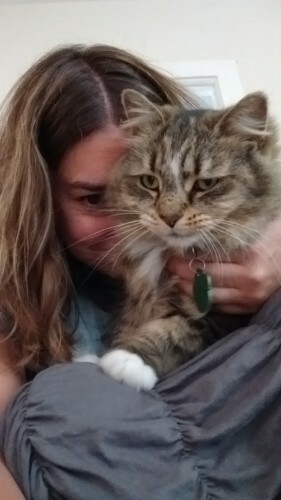 Sign a traditional book contract – well, I certainly never expected to clear that hurdle before achieving the full SFWA membership goal! Yet here I am, and I’m pretty sure I can call myself a real writer now. The Meduan and Lanserim ways of life are as compatible as oil and water. But when an invisible threat consumes both countries, leaving husks of human skin in its wake, Lansera’s Prince Janto and his fiancé, Serra, must learn to work together with Vesperi, a Meduan who possesses the only weapon that can save them. 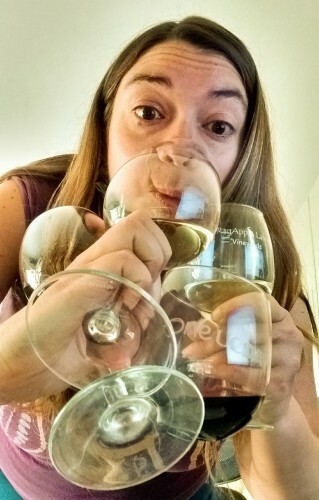 And I’m off to stare at my cover dreamily for the rest of the night….or actually, to share in a virtual wine tasting at Wine Antics, starting at 9 EST/6 PST! This real writer keeps herself busy juggling her spheres of writing influence! Fiction writer mode on SLEEP. Food blogger mode: ENGAGE! Good Genes published at the Future Fire! “Good Genes,” is now available to read at the Future Fire as part of their 38th issue, or Issue 2016.38 in the magazine’s parlance. Catch the Hydra (and me!) Reading on 10/25! Last week, I was invited to join the Hydra literary series for their spooky Halloween reading, and of course, I said yes. Read my horror? I look forward to any spine-chilling I can cause! What: The Hydra #7 Reading Series! But an in-person audience is always best! Hope to see you there. “Good Genes” Forthcoming from the Future Fire! 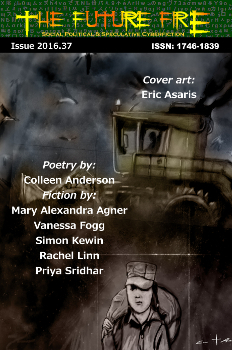 …that said, I am so excited that “Good Genes” has found a home in upcoming Issue #38 of the Future Fire! This magazine has been running strong since 2005, making it quite long-lived among electronic fiction magazines, no matter the genre. “Good Genes” is one of my favorite short stories, though it’s had a bit of a struggle to find the right publisher as, at 10,000 words, it’s much longer that many magazines are willing to publish. I am excited that the Future Fire has no fear of lengthier short stories, and I hope you all will enjoy this horror and Weird West mash-up tale in which a modern-day family and a group of 1850s settlers find out that a chosen place of refuge is sometimes scarier than the danger left behind. $450. 2 BR, 1 BA, 800 sq. ft. Available now. Enos. 555-987-0342. Rockie halted her clicking of the refresh button, the advertisement text cutting her free from the train tracks. Her cellphone’s touchscreen confounded her shaky fingers, but after three tries she pressed the right keys. Ten minutes later, grateful the landlord had asked as few questions as she had, Rockie refreshed the webpage. The text disappeared from the screen and her frantic packing resumed. 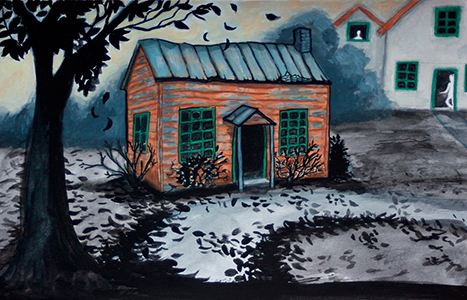 I will also tell you that this short story was inspired by an experience the parents of one of my best friends in high school had, driving along a very small town very late at night to find many of its residents strangely standing outside in their front yards as they passed. Let’s just say I am never going to pass that way myself. Here also are a pair of photographs to set the mood. I’ll let you know as soon as I do once “Good Genes” goes live at the Future Fire, along with a handful of what’s sure to be exciting stories from other speculative fiction authors. Stay tuned! The last week of September will be a busy one for me! I will be participating in two groups readings, and I’d love if you came out to support me and the great slates of other authors sharing their work at these series. Me, reading last spring at Alley Cat Books for the At the Inkwell literary series. I will read excerpts from my short stories released this fall, though I’m not sure which one I’ll do on which night quite yet. Those stories are “Mixed Signals, or, Learning How to Speak,” a humurous sci-fi tale that is available now in Issue #9 of Typehouse Literary Magazine (info on how to get it here), and “Good Genes,” a horror/Weird West story that will appear in the Future Fire’s Issue #38, publication set for mid-October. 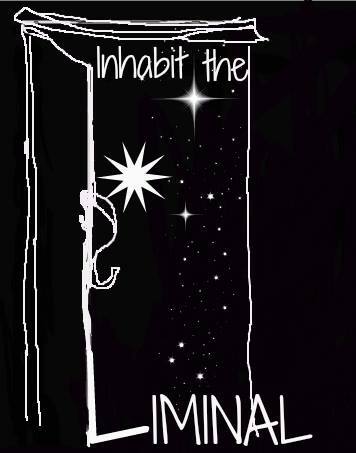 There’s no event page yet for the Liminal reading, so just let me know below if I will find your smiling faces in the audience! I look forward to seeing you. I will also be attending Con-Volution in Burlingame on 10/1 & 10/2, so I would love to meet you there as well! Let me know, and we’ll figure out how to make our paths cross during the Con. 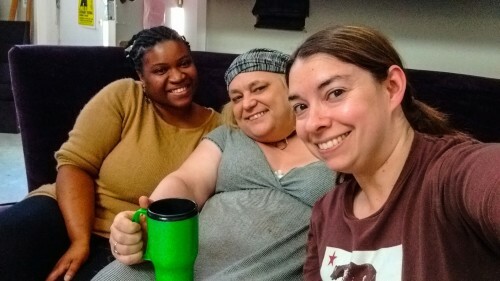 I concluded my writer-in-residency at the Liminal Center in June, but I am still fully in support of this awesome, communal, feminist space for women in the creative arts to come together to learn and grow our talents together. One of Liminal’s primary purposes is to provide hands-on writing workshops for writers who identify as female. These six-week sessions provide valuable instruction from experienced writers and instructors in small groups, and they are starting soon! The full list is here, but sign up before these classes begin on 9/18. 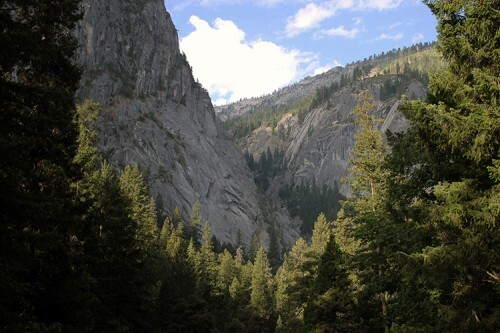 May I recommend Origin & LIMINALITY: Experimental Writing with Gina Goldblatt? It’s one of two workshops Gina is leading, and as the founder of Liminal, you’ll get a great view into the heart of this organization. Learn to write subversively while exposing truth through fiction. Liminal stalwarts Terrilynn Cantlon and Brenda Usher-Carpino are both at the helms of workshops as well. Terrilynn will be Silencing the Critic Within, an essential dragon to tame for anyone seriously venturing into the creative arts. Brenda will delve into the Art of Dramatic Dialogue for character development in the dramatic arts. The Liminal Fall Workshops are offered on a sliding scale of $200-$320 — Pay what you can afford to support this awesome literary organization! 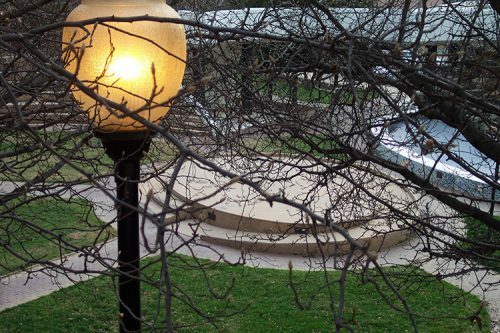 Liminal also reserves two spots in its workshops for participants who can’t pay at all. Contact Gina at gina@theliminalcenter.com if that’s your situation. For the first time, Liminal is offering one-day writing seminars, which I personally think is a great idea as that’s the commitment level I can handle. The first one is happening tomorrow, September 10th, and it’s not too late if you’d like to Get Into the Writing Groove with Jenee Darden. Just head here to sign up and get the full list of one-day sessions offered this fall. 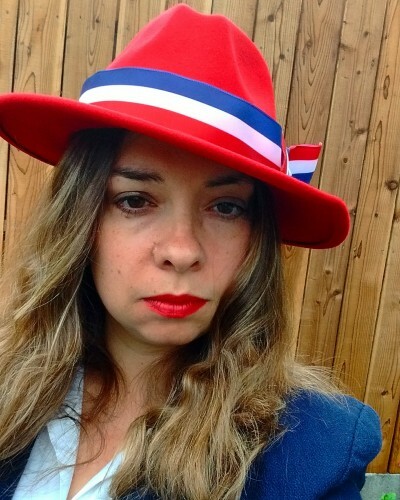 There is a great set of one-day classes on the agenda throughout the fall, including how to Write Characters of Social Action with Jasmine Wade, creating the heroes we need to see in fiction these days. Jasmine is also teaching the Wonderland of Myth: Writing into the Past and Present, which I would love to take if I were in town that day. *cry* Sessions on grief writing, healing from trauma through writing, and writing about negative experiences are also on the agenda. Pricing for the one-day intensive sessions depends on the length of the course, whether a couple of hours or a full day. Again, head here for the full list! Whatever course or workshop you choose, Liminal will greet you with welcoming, supportive arms. Or at least that was my experience co-working at Liminal with these lovely women this last spring. Coworking at Liminal with Aqueila and Terrilyn!